"On September 22 (parades), a number of missile and radar systems will be unveiled in Iran and we have spread these systems and radars in different parts of the country," Esmayeeli told. The annual September 22 parades mark the start of the Week of Sacred Defense, commemorating Iranians' sacrifices during the 8 years of Iraqi imposed war on Iran in 1980s. During the parades last year, the Iranian armed forces displayed different weapons and military tools and equipment, including different kinds of fighters, choppers, drones, ground-to-ground missiles, air-to-ground missiles, surface-to-surface missiles, tactical and armed vehicles, surface and underwater vessels, electronic and telecommunication equipment, light and mid-light weapons, different kinds of artillery and mortar-launchers, air defense systems and engineering and logistic equipment. The Iranian armed forces also displayed the tactical troposcatter system which is an advanced home-made communications system unveiled by Farzad Esmayeeli in September. Also, Nebo tactical radar system, Kasta surveillance radars, Matla' al-Fajr local radar system, national radar, a model of Shahab (Meteor) cosmic radar, a model of Samen radar, optimized Sky Guard radar system, high-altitude S-200 missile system, home-made Mersad missile system armed with indigenous Shahin (Eagle) missiles, mobilized Hag missile system, home-made mid-altitude Ya Zahra 3 missile system, and the low-altitude Rapier missile system were among the other weapons and military equipment on display. The Iranian Armed Forces also displayed Saafaat electro-optic tracking system, mobile 35 and 23 mm cannons, mobile tactical communications vehicle, vehicle equipped with chemical decontamination system, DZ vehicle and communication system, Kheybar tactical vehicle, Same' van built by the air defense base and central communication shelter manufactured by Khatam ol-Anbia Air Defense Base in the parades. 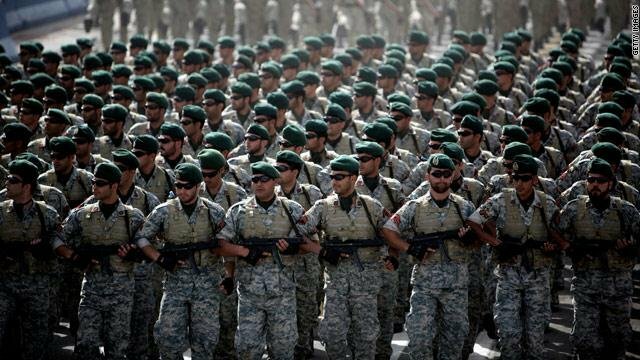 The Iranian Armed Forces have recently test-fired different types of newly-developed missiles and torpedoes and tested a large number of home-made weapons, tools and equipments, including submarines, military ships, artillery, choppers, aircrafts, UAVs and air defense and electronic systems, during massive military drills.